The initial concept design is an exciting step forward for the George Street and First New Town Design project. Edinburgh’s First New Town is the rectangular area of wide Georgian streets and squares between Princes Street and Queen Street. 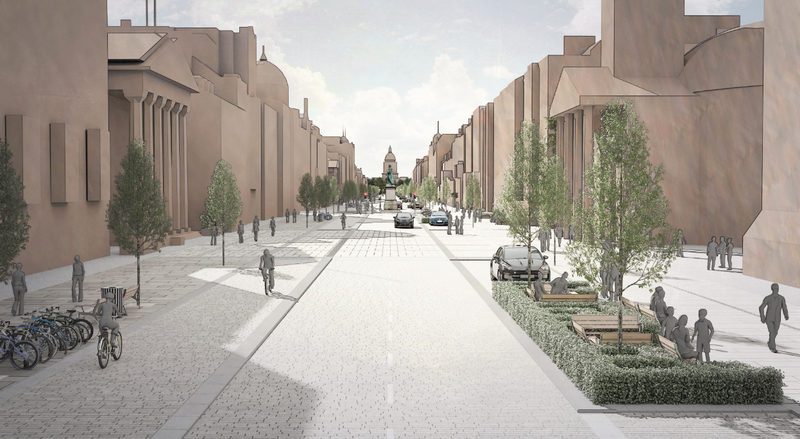 This project focusses on George Street, its intersecting streets of Castle, Frederick and Hanover Streets and the connection between George Street and Charlotte and St Andrew Squares. The draft concept design builds on previous studies for the area, and also input from residents, local community groups, businesses and the wider public leading to design objectives developed last year. The needs of residents from the city centre and wider city, form a key consideration within each design objective. We want to know what you think about the initial concept to help inform a final design for the area. Your information will help us understand what matters to you and how we should develop the design concept further.